When a strapping young Jack MacBride arrives in Finch to wrap up his late uncle's affairs, heads turn in the sleepy English village. But when Lori volunteers to help Jack clear out his uncle's overgrown garden, they discover something even more shocking than a stranger turning up in Finch. After Lori laughingly tosses a coin into the garden's old well and makes a wish, she is baffled to find that the wish seems to have come true. Word spreads, and the villagers turn out in droves to make wishes of their own. But as they soon learn, one person's wish is another person's worst nightmare. 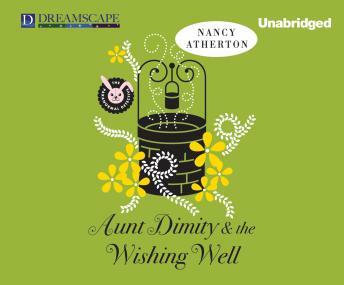 As more and more wishes come true, Lori resolves to find out what's really going onµwith Aunt Dimity's otherworldly help.